In the aftermath of the Oscars, it’s probably fair to say that, for Chilean director Pablo Larraín, the fate of his best foreign film nominee No could be described by the title of his previous film, Post Mortem, which I watched on streaming video last week (trailer below). Larraín himself had acknowledged that the Austrian feature Amour was the odds-on favorite, but that doesn’t diminish the prestige of being the first Chilean feature to be a nominee. I’m still waiting to see No, which won’t show in the Bay Area until Friday, but I’m hesitant to endorse Post Mortem which, though it’s drawn praise from some critics, is a slow-moving film that’s not exactly a feel-good story. The grim tale of an apathetic coroner’s aide who finds himself transcribing the autopsies of 1973 coup victims – including that of Salvador Allende himself – does manage to establish the bleak ambiance of post-coup Santiago, however. Like No, the Norwegian entry Kon-Tiki, with its links to Rapa Nui (Easter Island) also fell before the success of Amour, but Chile did take something home from the Academy. Before the awards, I had never even heard of Chilean-born cinematographer Claudio Miranda, but he won the Oscar for his work on director Ang Lee’s Life of Pi (which also earned Lee the best director award). Miranda, in fact, appears to have come almost out of nowhere, with a relatively thin resumé – most of his credits are from commercials and music videos, though he did work on well-known films such as Fight Club and The Curious Case of Benjamin Button. 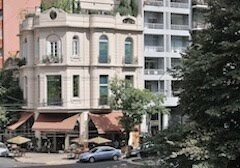 Biographical info is scarce; according to the Santiago daily El Mercurio, Miranda (born 1965) lived in Valparaíso until the age of one, when his parents moved to the United States. In fact, the contact info on his own website says he does not even speak Spanish. Still, his success and Larraín’s nomination have be morale-builders for Chilean cinema. 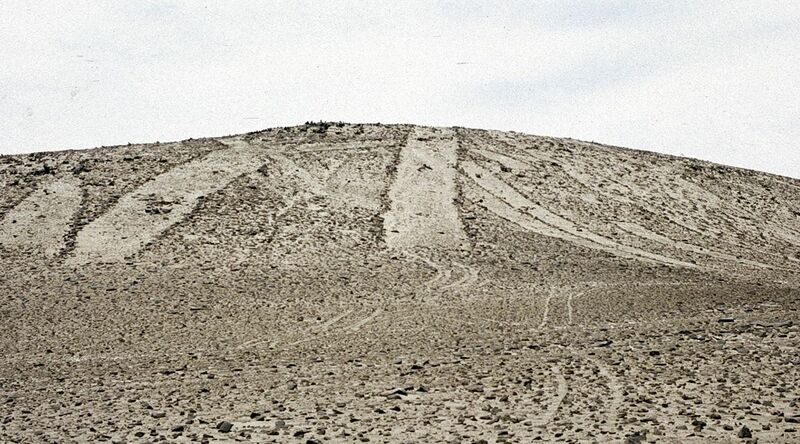 When I first saw the Atacama desert, in the late 1970s, its vast aridity overwhelmed me, and inspired me to return to Chile to undertake my M.A. thesis on llama and alpaca herding in the Andean highlands of Parque Nacional Lauca, east of the city of Arica. To do so, I had a fellowship from the Inter-American Foundation, but I also needed an in-country sponsor to be able to carry out the research. One of my faculty advisors at Berkeley put me in touch with Horacio Larraín Barros, then a geography professor at Santiago’s Universidad Católica, who eased my way through official obstacles at a time when Chile was an international pariah. In the ensuing years, I have kept sporadically in touch with Horacio, and have visited him in Antofagasta and in his retirement home at the village of Matilla, in the Andean foothills east of Iquique. While retired, he is not inactive, and he still has an intense devotion to the Atacama which, in its extreme aridity, is one of the world’s finest archaeological reserves – nowhere else on Earth are sites and artifacts so well-preserved. Recently, though, he’s become concerned about environmental threats to the Atacama, particularly through the Dakar Rally, which he often mentions in his Eco-Antropología blog. I’ve voiced my own misgivings about Dakar, which has operated in Argentina, Chile and Peru since 2009, when terrorist threats made them abandon Africa. 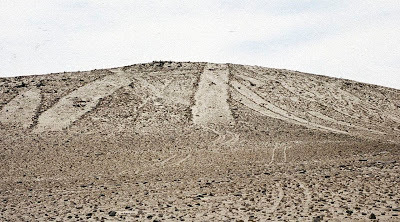 Long before that, I recall seeing dirt-bike tracks vandalizing the massive geoglyph known as the “Giant of the Atacama” (pictured above) and other archaeological sites, and Horacio thinks Dakar has brought this to a critical stage. For that reason, I asked him permission to translate and publish a recent open letter he wrote to colleagues, which appears below. As an aside, I will toss in the fact that Horacio is a distant, probably very distant, relative of Pablo Larraín, director of the Oscar-nominated film No that I discussed in earlier posts. Colleagues and friends, it’s time to get involved. This Dakar Rally is going to continue growing, in the number of vehicles, drivers and, what’s worse, the number of curiosity seekers either as spectators or copycats with their own 4WD vehicles who leave an infinity of marks everywhere on the land. We cannot simply act like ostriches, hiding our heads or saying, “I already spoke about that.” We need to create a broad alliance of civic response to express the feelings of the entire scientific and educational community of the country. We have so far acted timidly and separately. I think it’s time to undertake collective action: obtain thousands of signatures of scientists, journalists, lawyers, photographers, visual artists, teachers, and others. I’m not sure how to organized this network, but it’s imperative to do so. The Internet is the medium of course, but how to make them listen to our voices? Does anybody have an answer? I believe the time has come for everyone who appreciates or deals directly with environmental conservation (geographers, biologists, agronomists, architects, anthropologists, archaeologists, geologists, foresters) need to raise their voices in consensus against this event as it is developing in today’s Chile. Pilar Cereceda has sent me documents proving how the Centro del Desierto de Atacama (CDA, Atacama Desert Center) has credibly raised its voice since 2009 and 2010. The painful thing is that such documents, sent to the responsible authorities, have been ignored. And this attitude illustrates how there are semi-official powers (economic and political) behind all of this, and that our voices as scientists, teachers and opinion-makers are not being heard. My position is that we need to take more decisive action in common. If anyone has any clearer ideas of how to articulate, through the network, a serious and well-grounded response, we would appreciate it. What’s clear to me is that none of the objections of the Consejo de Monumentos Nacionales (National Monuments Council), the CDA and other institutions have been taken seriously. Apparently, the responsible authorities have not even replied. And with respect to any assessment of the real damages caused and means of mitigating them, we have not heard a word, so far as I know. What country are we in? Will we permit others the luxury of destroying our valuable ecosystems and cultural heritage with impunity? Several months ago, I wrote about director Pablo Larraín’s film No, the first Oscar nomination ever for a Chilean feature and, as the awards event approaches this coming Sunday, Larraín and other Chileans will certainly be paying attention. I can’t yet pronounce my own judgment on No, which has not yet reached theatrical release here in the Bay Area, though I read Larry Rohter’s recent New York Times profile of Larraín with great interest – No has generated some controversy in Chile, though necessarily not for the reasons one might think. 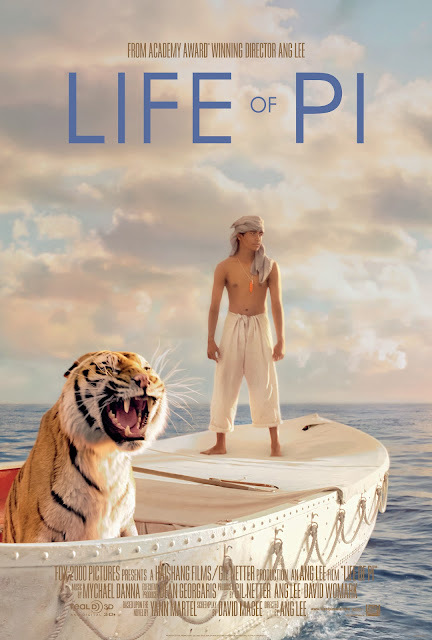 Other than No, I hadn’t paid much attention to the Oscar nominees but, I recently realized, there’s a second Chile-related film in the foreign language film category: Norwegian director Joachim Rønning’s Kon-Tiki retells adventurer Thor Heyerdahl’s audacious 1947 expedition from Peru to Polynesia aboard a balsa log raft. Heyerdahl theorized that humans colonized Polynesia from Peru and, by successfully concluding his 101-day voyage across the Pacific, he at least proved such a voyage was possible. Later, in 1955-6, Heyerdahl conducted excavations on Chile's Pacific outpost of Rapa Nui (Easter Island) in search of evidence for his theories. 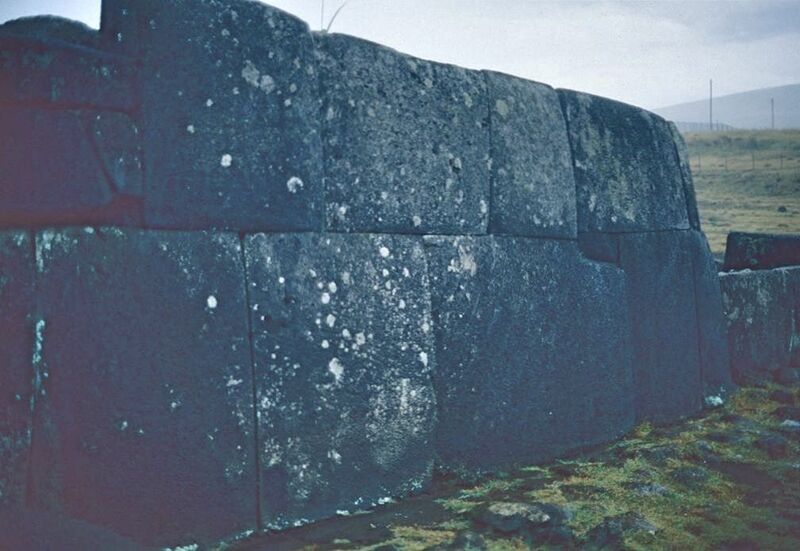 To his eye, the presence of megalithic platforms such as Ahu Vinapu suggested connections between South America and Polynesia, but the balance of research overwhelmingly contradicts Heyerdahl's speculations. While it's conceivable that pre-Columbian peoples sailed west from Peru, Easter Island was colonized from the east, by Polynesian peoples, though it's conceivable they reached South America first and returned. Georgia Lee, an archaeologist who has done extensive work on Rapa Nui, probably represents the professional consensus on Heyerdahl. In a recent email, she wrote me "[W]hile I found him incredibly self-centered, he did have an interesting life." Perhaps Heyerdahl's greatest legacy is is his willingness to ask big questions, even if he came up with the wrong answers. I might add that, even as a one-eighth Norwegian (one grandparent), that's as much as I'll grant him. As for the Oscars, well, maybe it’s a stretch to link Kon-Tiki too closely to Chile. The closest the filmmakers got to Rapa Nui itself was the Maldives.